Soon it’s going to be a trio of adult beverage options at the Hackett Ranch near Wiley City! The tentatively named Wiley City Brewing Company is moving forward with their operation at the the ranch located southwest of Yakima on 2622 Draper Road. 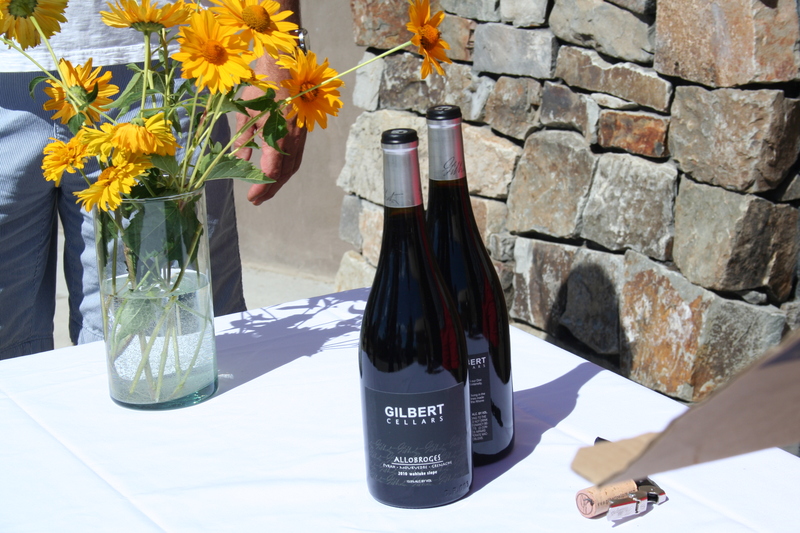 The working fruit orchard is the production facility for Gilbert Cellars and has been in the Gilbert family for generations. With a tasting room downtown, Gilbert recently opened a second tasting room on the ranch and has a number of musical performances slated for the summer. Last year Glacier Basin Distillery opened at the complex, a craft distillery making premium brandies using fruit direct from the ranch. The brewery will be in the same Quonset hut as the Distillery, with an event center located in the middle. Once opened the facility will surely be a big draw for folks interested in our locally crafted adult beverages. Stay tuned at the Spirits and Hops Trail for more details. It’s April in the Yakima Valley. Apple, cherry and other fruit trees are blooming by the acre. 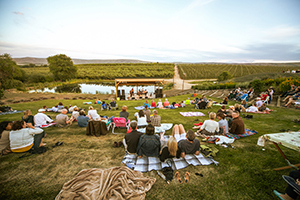 It’s also the time for Spring Barrel Tasting, when folks flock to wineries from Yakima to Red Mountain to enjoy wines straight from the barrel, great food, music and fun in the vineyards. Folks now have the option enjoy other adult beverages during the celebration along the Spirits and Hops Trail. If you need a change of pace (and palate), stop in one of our many brew pubs and breweries in the Valley. Bale Breaker Brewing Company will be open Friday 3-9 PM and Saturday 12-8 PM. On Saturday Bale Breaker will have fresh, hot pizza for sale. Snipes Mountain Brewery in Sunnyside is open Friday and Saturday 11 AM to 10 PM and 11 AM to 9 PM Sunday of Spring Barrel weekend. Check our Guzzle and Grub section of the website for eataries in the Valley offering fine locally crafted beers, ciders, spirits and wines. Have fun during Spring Barrel and remember, enjoy responsibly! Grab the November issue of Sunset magazine for some fun reading on the Yakima Valley, including a number of the features along the Spirits and Hops Trail like Bale Breaker Brewing Company and Glacier Basin Distillery. Read the article for yourself here. Last week we toured a few of the businesses on the trail, enjoying a behind-the-scenes look at their operations and getting to know the people making these fine beverages. First stop on the tour was Tieton Cider Works. The fruit that is used in their cider comes from Craig and Sharon Campbell’s Harmony Orchards, which has been in their family since the 1920’s. 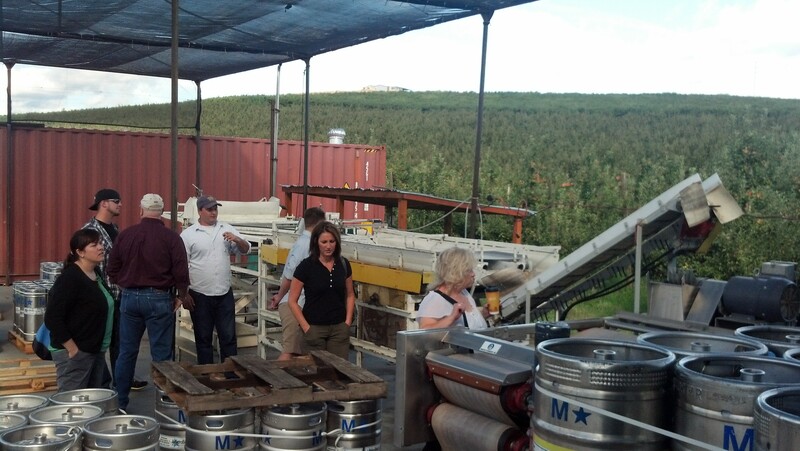 Rob McCurdy took us on a tour of the production line and explained the cider making process. Did you know that cideries in Washington are licensed as wineries? Rob shared the fact that based on gallons produced, Tieton Cider Works is among the top 20 ‘wineries’ in the state. 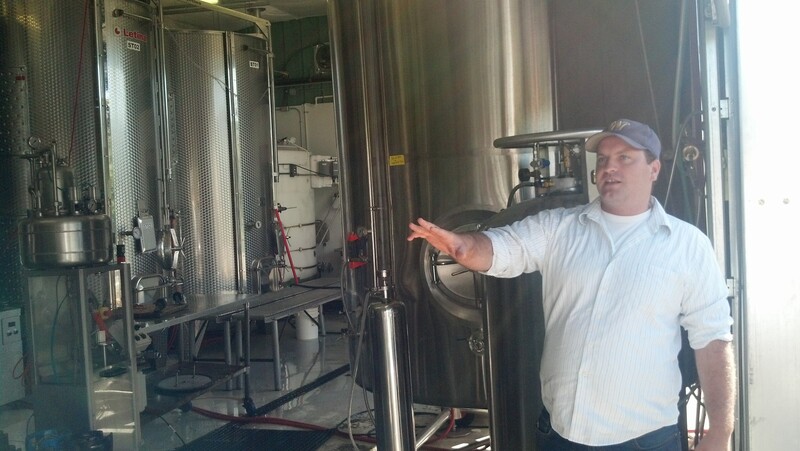 After the tour, cider maker Marcus Robert provided samples and talked about the craft of cider making. Tieton Cider products are available at many locations. From there we took a quick, impromptu side trip to Tieton Farm and Creamery, a 21-acre farm located on a grassy hill near Tieton. Owned and operated by farmer Ruth Babcock and cheese maker Lori Babcock, they have been producing quality artisan goat and sheep blended cheeses since 2010. You can find their cheeses at these retail outlets. Heading south through county back roads we next visited Glacier Basin Distillery located at The Cave at Gilbert Cellars near Wiley City. Master distiller Thomas Hale provided samples of his Grappa, a grape pomace brandy of Italian origin. It has a smooth sipping, fruity finish, hand crafted from Washington State grapes. Exciting developments are in the works at The Cave as a tasting room is being built for the distillery and an on-site brewery will soon be under construction. Thomas shared that tastings of his products are currently available during the special events at The Cave. While there, Jessica Moskwa of Gilbert Cellars provided samples of their fine wines and a tour of the Cave, plus discussed future plans for their facility. If you have not been out there for one of their events it’s a must see. Their new grassy performance venue is gorgeous and the setting among orchards and lavender can’t be beat. 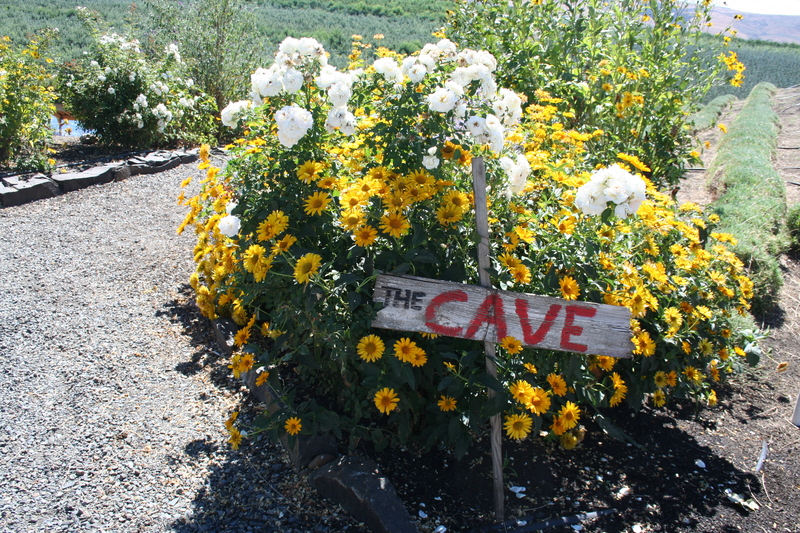 While the Cave is only open during special events, you can visit their main tasting room in downtown Yakima year-round. After soaking in some sun we loaded up the bus again. Final stop of the day was Bale Breaker Brewing Company. The staff at Bale Breaker welcomed us with samples of their popular Field 41 Pale Ale and Topcutter IPA. After a great lunch provided by nanakates of Selah, the crew was treated to a tour with Kevin Quinn, co-owner, brewer, sales, distributor and ‘jack of all hop trades’. Having a chance to view their new facility carved out of a hop field was an experience. 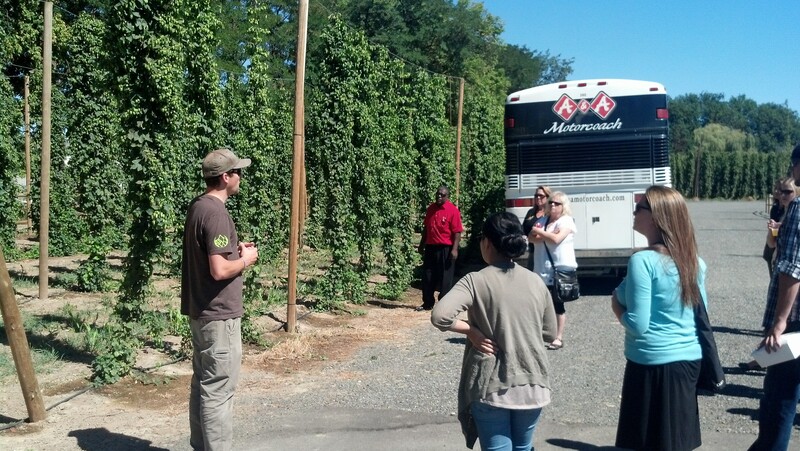 Kevin knows his hops and taught us much about their growing patterns, lifecycle, harvest and production. After seeing the hop heads on the bines (not vines) just outside the tasting room, we headed indoors for a tour of the plant. Kevin extolled the many values of producing beer in cans including environmental friendliness, protecting the beer from exposure to light, easier transport for outdoor activities and less packaging. 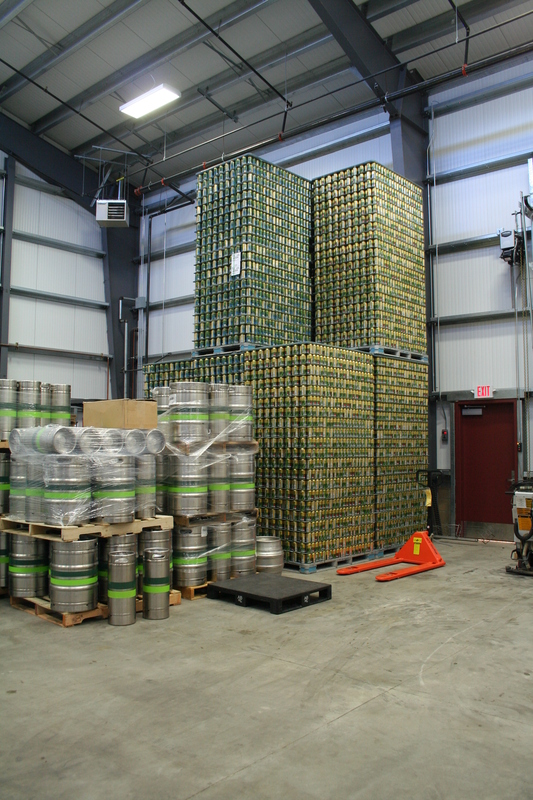 The stacks of empty beers cans ready for production were a site to see! 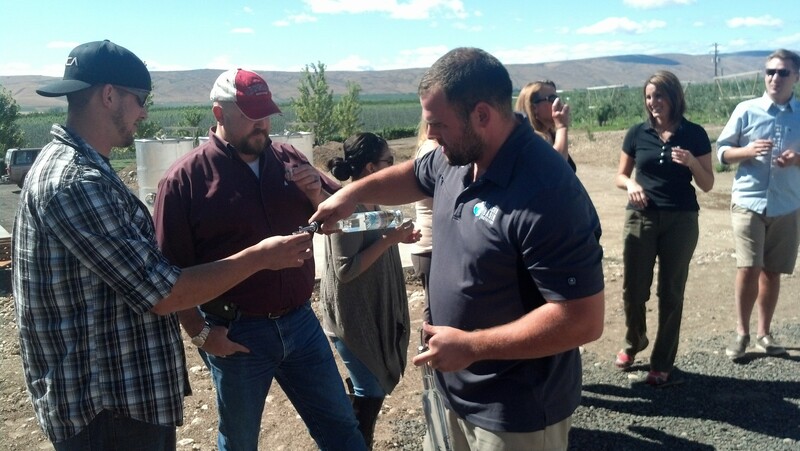 It was a great day touring the bounty of the Yakima Valley. Harvest time is upon us so come visit the Spirits and Hops Trail. Special thanks to A&A Motorcoach and our professional driver Rich for a great job navigating the back roads of Yakima County.